2. Contact Lisa Jeppesen immediately for any problem with an order or product. 3. Approximately 30% of price covers cost of product; 35% of price goes to Northern Star Council; 30% of price goes to the selling scout’s scout account; and 5% goes to the Pack general budget. 1. All orders and checks need to be turned in directly to the pack by Monday, October 29th. Provide your Den info, your Scout’s name, your deposit amount & the corresponding portion to be placed in the Scout’s account. 2. CHECK/MONEY ORDER ONLY. Checks need to be made out to Cub Scout Pack 455. We absolutely cannot accept cash. If you accept cash, you must turn in payment by check or money order. 3. Contact Pack 455 immediately for any problem with an order or product. 4. Approximately 65% of price covers cost of product; 30% of price goes to the selling scout’s scout account; and 5% goes to the Pack general budget. 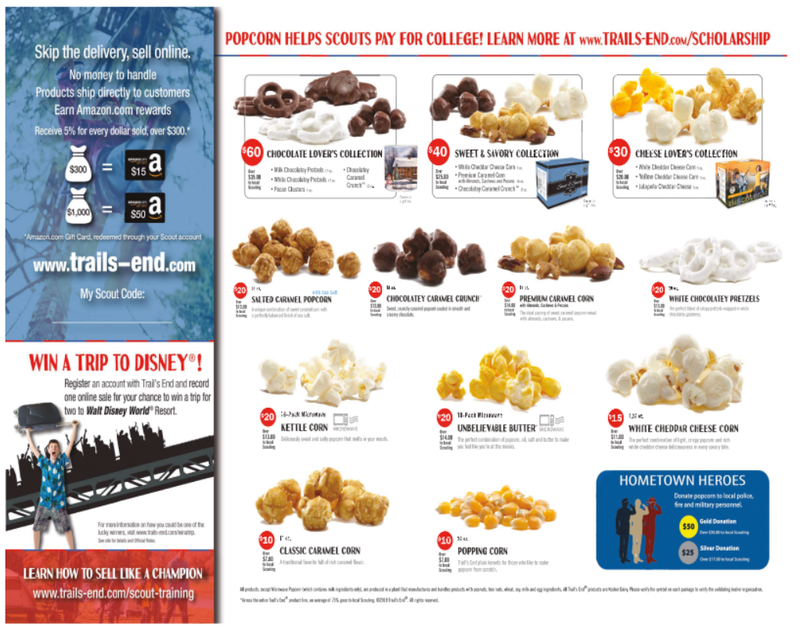 NOTE: Popcorn fundraiser runs September 22nd-October 29th independent of the evergreen fundraiser. Payments need to be kept separate. More info will be provided at the September Pack Meeting.